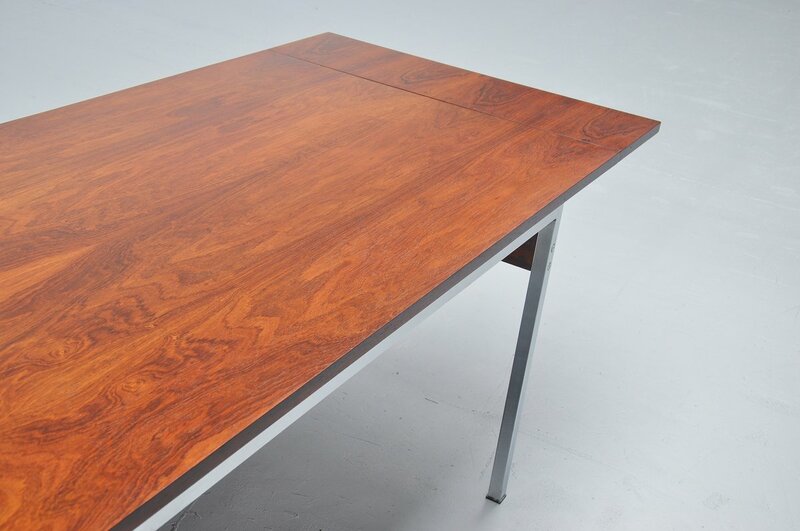 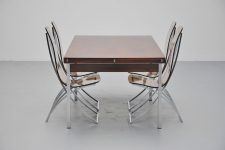 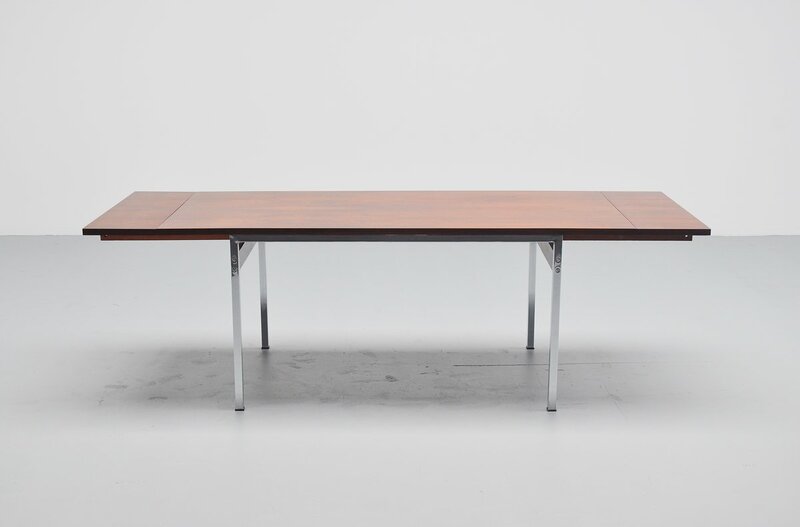 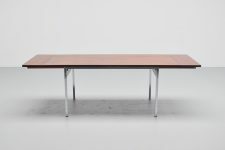 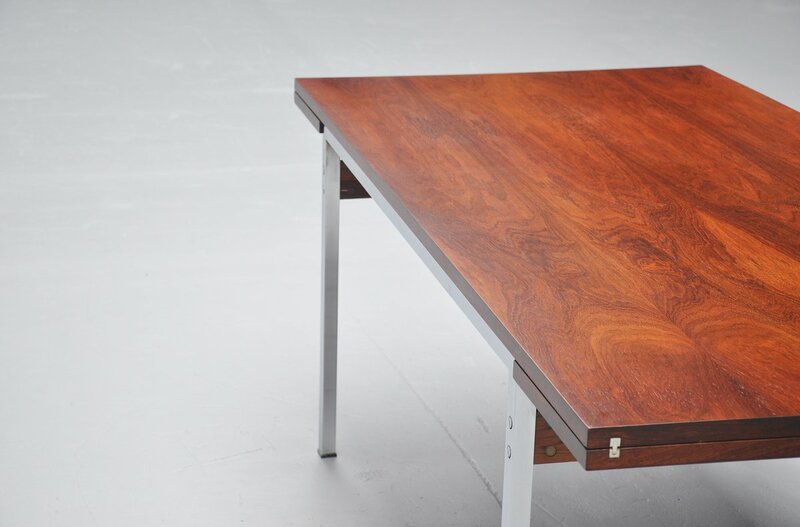 Very nice extendable dining/working table made by N-Line furniture Gent, Belgium 1960. 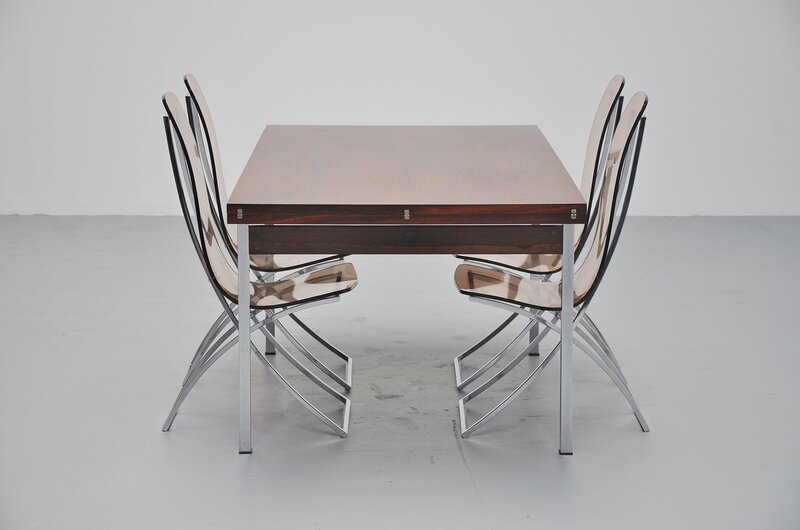 This table has a chrome plated square tubular frame and a rosewood folding top. The rosewood top has been fully restored with high quality UV protection lacquer and looks great. 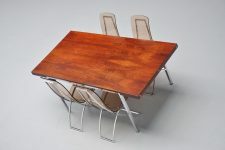 The table has to extentabl folding ends on both sides and can be used for 4-8 chairs.